Hi friends! 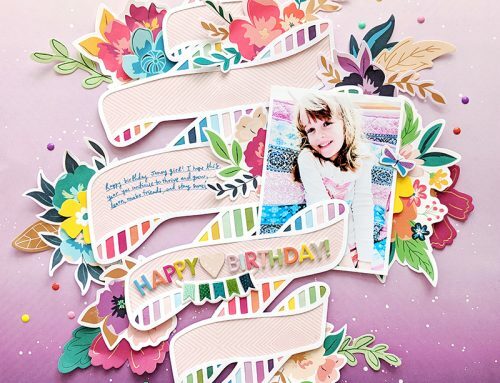 It’s Cathy Zielske here, art director for Scrapbook & Cards Today, and I cannot believe that it was one year ago when Catherine said to me, “Hey, can you make a card to share for our 11th birthday?” and that very question is what started me on the most amazing creative journey to becoming a card maker. So today, I feel it only fitting to share cards related to the ultimate birthday, the day a human comes into the world—baby cards! Holy cute, am I right, ladies? Ever since I got the Oh, Baby stamp set from Simon Says Stamp, I’ve been making cards that will be ready at the slightest indication that any I know is expecting! Seriously, the cuteness knows no bounds! But what I love most is how a simple card can pack so much punch! With just three ink colors, you can create such a charming look and I love that if the black ink isn’t perfectly lined up over the colored parts, it’s still so cool because it creates an offset registration look. I think I could have emphasized that even more! Once I had my supplies out, I had to make a second card using this stamp set and the same inks and cardstock colors. For perfect alignment of the little booties, I used the brand new Wreath Builder tool, ingeniously designed by Gina K. of Gina K. Designs. It made lining up those booties a snap! And again, having a slight misalignment of the black ink creates a really charming feel. These would make darling cards for anyone’s actual birth-day! So happy birthday to you, SCT! I’m so grateful to be your art director but especially grateful you inspired me to start making cards, because it has been my favorite crafty year to date! For a complete list of supplies used on this card, check out my blog post here! 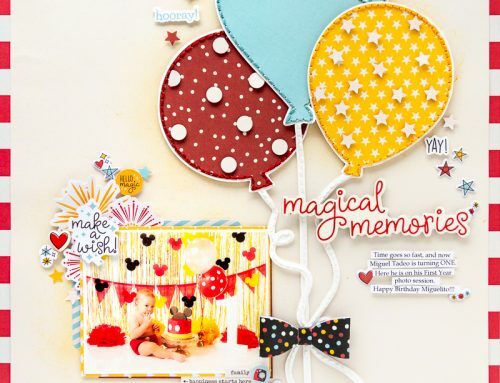 We are excited to join in on the birthday fun this month with Scrapbook & Cards Today! 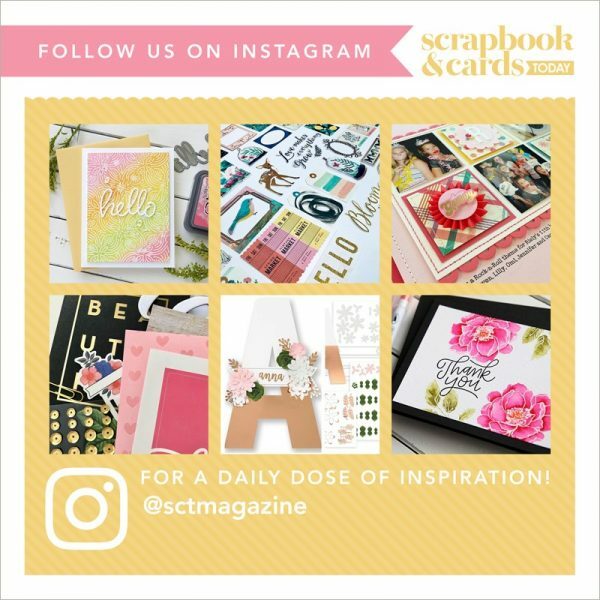 Twelve years is a big deal, and we are so happy that SCT is thriving & providing inspiration for scrapbookers & cardmakers alike! 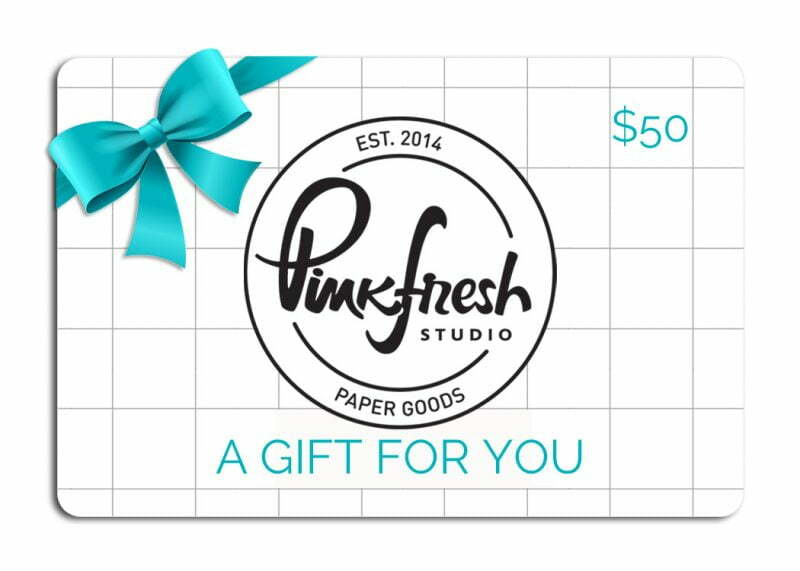 We are offering a $50 gift certificate to the Pinkfresh Studio shop so you can pick out the stamps & dies that have been on your wish list! Click here to see all our beautiful brand new collections. Happy birthday to SCT, and happy shopping to you! 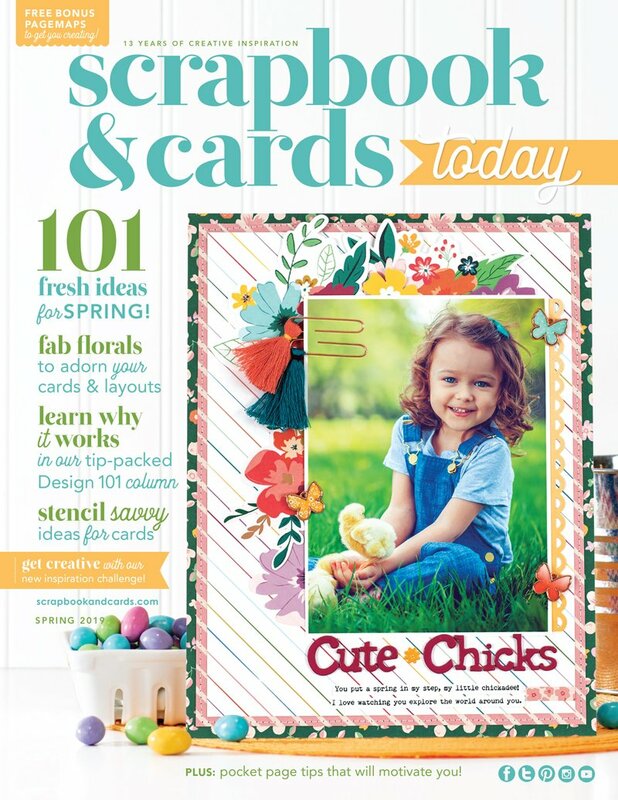 Happy Birthday Scrapbook and Cards Today magazine! To celebrate Spellbinders is giving away the “Build a House” die by Sharyn Sowell, which was a big hit at the class taught by Beth Reames at the recent Toronto Crop & Create event! We will even throw in a class kit so you can make your own little cottage. We also have a gift for all SCT readers, 15% off any regular priced* Spellbinders item purchased from our website at www.spellbinderpaperarts.com Please use code BIRTHDAY15. Expires May 31, 2018, Eligible on the store and clubs. Excludes clearance. To enter each day’s giveaways, be sure to leave a comment below by Saturday, April 7th. We will announce all winners right here on Tuesday, April 10th! Thank you to Cathy and today’s sponsors for creating another special day! If you are just joining our celebration for the first time, be sure to start right HERE to see all the amazing inspiration and prizes! SCT’s 13th Birthday Celebration – Day 3!! These baby cards are just too cute and adorable for words! I love the house! It would look so great as an Easter scene. Happy 12th Birthday!! That Pink Fresh gift card and the build a house Die would be amazing! Thank you so much for this wonderful giveaway! So much inspiration over the past week! I may have to replicate some of these great projects. I love today’s house dies!!! Sweet, sweet baby card. Loving the prize for today!! Happy Birthday. The baby cards are adorable. Happy Easter everyone! Enjoy your Good Friday with friends and or family! BTW- card is cute! Perfect for my new grand baby girl arriving in 2 months!!!!❤️❤️?? Thanks for sharing that sweet baby card! Happy Easter! Happy Birthday, I have only been doing this for a few months and l love it! What a great job to have! I would love to win the Pink Fresh gift card, Spellbinders build-a-house die and bonus class kit! Thank you for the chance to win! I love card making too! Happy Birthday SCT! Cuteness overload with those awesome cards! And more awesome prizes today. Love PinkFresh Studios and Spellbinders. Love those baby cards!! Gina K has the nicest stamps! Great giveaway too! Thank you! The house die so super cute. I can see an entire Christmas village in my future with that house die. Thanks to Pinkfresh and Spellbinders for the generous giveaways today! Great house die! I can see many possibilities for it. Love the baby cards, Cathy. So glad you discovered card making and sharing in video. I am a new subscriber. Adorable baby cards! And love that house die! Happy Birthday SCT! Makes me wish I owned a diecut machine!! Such a fun project! Congratulations to whomever wins!! Super cute cards! And what a fun prize! These baby cards are adorable. The black really makes them pop. Thanks for the chance to win more great prizes. 2 nice prizes, and that house die set? Wow – that looks cool. Thanks again and have another great day! Leave it to Spellbinders to come up with such an adorable die set. Love this little house. Thanks you and rock on with your birthday party. love it both…babies are happening in our family, so that would be helpful. One can never have too many dies and stamps,lol. Thank you SCT & sponsors for another wonderful prize give away. Super cute cards. I was delighted to find CZ has a YouTube channel: super designs & such fun to watch. Wowser on the giveaways..
Oh baby, cute cards! LOVE the house die! Thank you to today’s generous sponsors. Love the house die! Thanks for the opportunity to win! And wonderful prizes thanks so much to the sponsors. Love the cards. I have 3 welcome baby cards to make this weekend. New life all around!!! What darling cards, so wonderfully sweet! Thank you SCT, Pinkfresh Studios and Spellbinders for your fantastic and generous prize packages. Totally adorable baby card! Thanks for a chance at the great prizes! Thanks for sharing these lovely baby cards – stunning giveaways, too!! What great card inspiration and wonderful giveaways. Such a sweet baby card! Thanks for more great prizes today! Love the simplicity of these cards. The basics with beautiful results! Another awesome prize pack too! I am not sure which is cuter the baby cards or the house. Happy 12th Birthday SCT. Love your cards – that yellow just makes everything pop! And more great prizes today! Sweet cards! The yellow is so sunny and happy! WHAT A SWEET CARD. LOVE, LOVE, LOVE THE LITTLE COTTAGE. Oh my heart melted when I saw those cute cards and that cute house!! The baby cards are so cute! Thank you SCT, for this great week of inspiration. And thanks to Pinkfresh Studio and Spellbinders for these great prizes! The baby cards are so cute. Thanks again to all the great sponsors who are helping SCT celebrate. love the cute, bright, simple cards. they are adorable. Happy birthday SCT! How fun! Are today’s giveaways!!? them all. Thank you for the chance to win! The baby cards are adorable…2 of my cousins (sisters) just had babies this month, one day apart! Awesome giveaway! Thanks for the opportunity! Thank you, Cathy, for reminding me how great cards can look just with using a stamp set with black ink. Thank you also for the tip about the wreath.Both of your cards are so cute. Happy 12th Birthday SCT and thank you to your sponsors PinkFresh Studios and Spellbinders Paper Art for their great prizes. You are right Cathy, those cards are so seriously cute….I need to get my hands on that stamp set now!! Oh. My. Goodness! What fabulous prizes today. want to win that one – good luck! These baby cards are as cute as can be! And Pinkfresh as the giveaway… wow! Love their stamps and dies! Such a fun house die set from Spellbinders too! What a fun give away! Great ideas just keep coming from Spellbinders and Pinkfresh! Aamazing! A perfect TGIF! Happy Easter and Happy Birthday to SCT! Thanks again for all you do! Quote cards and house. More fun give aways. It doesn’t get much better than Cathy Z and that adorable little house die! Happy 12th Birthday SCT. What great giveaways. I’m just in love with that sweet house. Love Pinkfresh Studio, great stamps and dies. Very cute baby cards and the house is so charming! Such cute baby cards and more wonderful giveaways. Also, to create a house and give to someone for the occasion of their new home. Love the cute baby cards and the house is adorable! Thanks for the chance to win!! Adorable baby cards and another day of great giveaways! Wow a gift card from Pinkfresh and lots of goodies from Spellbinders; another great and generous giveaway. Great card and love the gift. Adorable baby cards! Happy Birthday SCT!! Those cards are adorable. Love, love, love the little house! Cathy, I think your cards are so darn adorable! Really fun for the new baby! TFS! Adorable card for a new baby! Loving all the great ideas. The baby cards are adorable!. The die looks like fun. Thank you wonderful sponsors. Cathy, you always pick the best colors to work with. Love, love the baby cards! Such cute cards! And the wee houses are super cute too! Two really sweet baby cards and some wonderful products from today’s sponsors. Thanks for the chance to win. Sweet baby card. Thanks for another wonderful giveaway! Oh, Baby! Cathy’s cards are so cute! Happy birthday SCT and thanks for all the inspiration. Those baby cards are just too sweet!!! Truly simple but they sure do pack a punch!!!!! Need that stamp set!!! Thanks for sharing! Happy Birthday SCT and thanks for the celebration! Super cute cards!! Thanks for the chance to win!! Adorable cards!! 🙂 Thank you for the inspiration! Who couldn’t find a way to use a $50 gc from pinkfresh? And the Spellbinders house is absolutely adorable! I love inks and stamps. The pink and yellow are such nice colors together. The house is neat and could be used several different ways. Happy Birthday SCT! Thanks for the chance to win prizes from your great sponsors. Holy cute indeed! Love the prizes too, great way to celebrate! Super cute cards. Thanks for the chance to win. The baby cards are adorable. 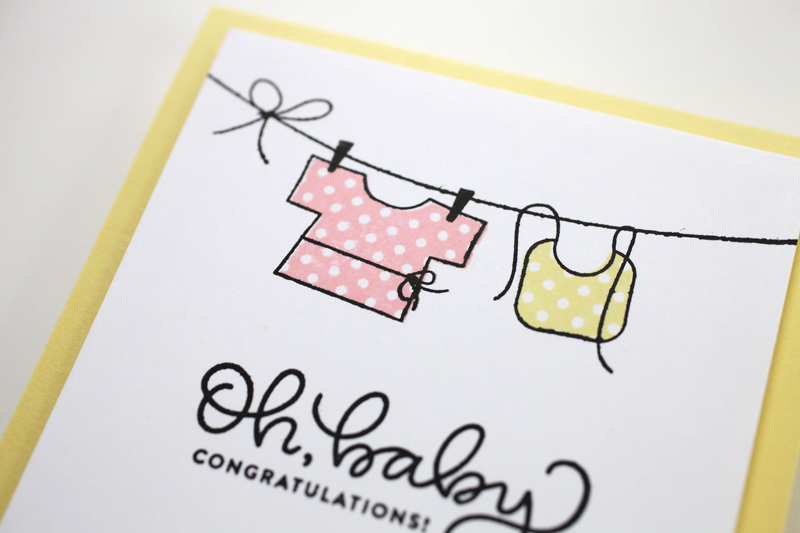 I don’t make many baby cards, but the stamp set is perfect for the needed shower or congratulations card. As Cathy would say, oh for cute! Beautiful card! Love that “ oh, baby”! Super sweet card! Wow, thanks for another day of amazing prizes. Happy Birthday! I have found the fun of making cards. Another day of great prizes. The little house is so cute I can imagine making some Christmas Cottages and filling them with goodies! Happy Birthday SCT, always enjoy celebrating your Birthday! Love CZ’s “stuff.” I have her very inappropriate stamps that my friends love. We’re all potty mouths! Happy birthday, SCT! The house die kit is adorable! The baby cards are just the sweetest. Love how something so simple can have such an impact. Thanks for sharing. I really need to add baby stamps to my collection. These are so cute! The baby clothes stamps are just adorable. I love that they are 2 step stamping products. I like how simple the cards are. Nice choices. These baby cards and stamps are just too cute! Lovely cards and house. Thanks for the chance to win all the giveaways for your 12th birthday!!! The baby cards are really cute, but the little house is adorable! Those cards are the sweetest ever! SO cute!! Oh lovely, I love making baby cards too. They’re adorable! How fun to celebrate your birthday for 12 days. Awesome prizes, thanks to the sponsors. The little house is darling. The little cottage is adorable. And I’m in love with the sweet baby cards. Cute house kit and Cards. Thanks for the chance to win. Both prizes would be wonderful to win. Thank you for the chance. Great cards Cathy! I hope I win today-Pinkfresh is one of my favorite new companies. Oh baby I like it. Really great baby card ideas! Love the giveaways today! Thanks again for the opportunity to win! The baby cards are adorable! I love the cottage…thinking Christmas village ?Thanks for the chance to win some more fabulous prizes!! Such cute baby cards!wonderful prizes! Thanks for a chance to win. Your cards are so precious. Thanks to the sponsors for today’s prizes. Your cards are so sweet! I love the pink and yellow together. How cute is the polka dot stamp for the little shirt and bib! Cathy, you have inspired my craftyness so much. Not just in card making but also in getting it done and daring to go outside your comfort zone. Adorable cards. Love the colors. Happy 12th Birthday! Super cute! I love square cards a lot too! The cards are so pretty and cute. Both giveaways are a must for anyone’s stash. Would love to win this giveaway. Thank you for the chance to win. Cathy’s card is too cute! Cathy, your baby cards are truly simple adorable! Just as perfect as the little ones that they will welcome. Well done! And thanks SCT, for another day of amazing giveaways. Very sweet card. PINKFRESH – whoo hoo – would that be awesome to win!! Love it – thank you !!! Those baby cards are too adorable! I love, love, love these cards. Especially since I have two new grand babies. Love those cute stamps. And seriously such a cute little cottage! Love the square cards – gonna try some! These are so sweet! Love the polka dot! This house die is so cute!! Would love to make some houses with my young granddaughters. They would enjoy them!!! OMG! That cottage is the cutest thing ever! Love it! The card is great too, so cute. And who doesn’t love to a gift card to pick their own gift? There are so many good stamps and dies from Pink Fresh, the challenge would be narrowing it down! Your card is too cute for words and both prizes are fabulous today! So glad you did start making cards too. You have inspired me so many times. How appropriate! Just welcomed a new addiction to our family so this card is perfect. Ideas, prizes, and a spellbinders discount offer! What could be better?!! All of today’s stuff is just ADORABLE!!! Thanks again guys! Love this house. My kind of 3D fun! Oh Cathy is so talented! Those are the cutest little cards, love the small square size! These cards are darling, and the prizes today are awesome! Thanks for the chance to win. Such darling cards. What a wonderful stamp set. Happy birthday SCT. Thank you for the chance to win another amazing prize! Such sweet, cute little cards! Love the prize giveaway! Thanks for the chance to win! I’ve so enjoyed following along on Cathy’s cardmaking journey and I love SCT. Thanks to the sponsors! Very sweet baby cards! And that house (with a picket fence) kids amazing. Great prize package to share! Thanks! And continued birthday wishes sct! These cards are so cute and adorable. Thank you Pink Fresh and Spellbinders for the great gifts. Adorable baby cards! Love the colors and design! Thanks for sharing! Great cards. I love the colours. Thank you for the chance to win! I love the baby cards! I just got that wreath builder kit, but haven’t tried it out yet. I love the card. I have a very special friend that is expecting a girl in 6 weeks. This is perfect. Wonderful prizes today. Big thanks to Pink Fresh and Spellbinders for their generosity. Happ happy birthday-hope you have a whole lot more of them. I am so crushing on Pink Fresh right now – this would be amazing for the wish list I have for their new collections! Thanks for the inspiration and giveaway. Amazing! I love the baby card designs, super cute! That house die is pretty sweet too! Oh my gosh those baby cards are adorable! And what a cute stamp set!! Adorable cards, loving that shade of pink too! Great prize day, thanks for the chance!! Lovely cards and I really hope to be lucky! Cathy you have inspired me to make cards too. The tools and skills transfer from scrapping. I always thought that I should use stamping in my layouts but didn’t see how. Happy 12th Birthday to SCT! Cathy’s baby cards are so precious! Thanks so much to SCT for the continuing inspiration! Also, thanks to Pinkfresh Studio and Spellbinders Paper Arts for sponsoring the great giveaway prizes! Love Cathy’s gorgeously cute cards! The baby cards are adorable! Thanks for the chance to win the cottage die and kit. How cute are these cards. I live that little stork in the set and the clthesline idea is amazing. Thanks for a chance to win the cottage die kit. Who doesn’t Love little houses – fun, fun, fun! Two adorable and sweet cards!!! And this little cottage is absolutely amazing!!! Adorable cards! Love the ? too! What cute and sweet cards Cathy! Both sponsors today are amongst favourites of mine; love the cottage die set and the new Pink Fresh collections are just gorgeous … so I would have no trouble at all with that 50$ LOL. Seems Cathy has mastered the art of card making too along with all her other skills – love the cute cards! And PinkFresh, one of my all time favorite companies! The little cottage is adorable by Spellbinders— thanks much for all these wonderful prizes! Sweet cards! Love the color combo. Cute and adorable baby card. I am always impressed by the discoveries I make through SCT posts! Love those tools! What a cute card! Love the little stork stamp and the baby colors. The prizes are awesome as well!! Great gift!!! 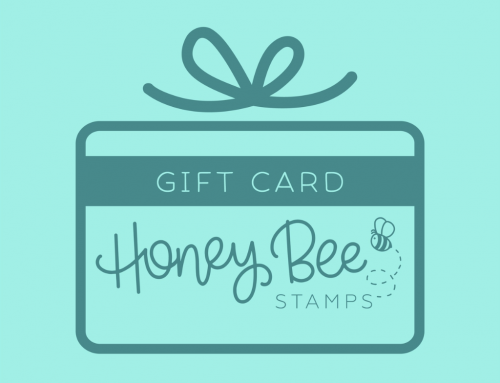 A gift certificate that we get to buy exactly what we have been wishing for. Pinkfresh Studio and Spellbinders Paper Arts really know what a crafter wants. Thank you. Love the card. Oh Baby.. . …Oh so cute. What adorable cards!!!! Cathy, the cards are so cute. Thanks for sharing the link for how to make a square envelope from an A2 envelope. Two wonderful prizes today. The house die us so adorable. Thanks and happy birthday! The pink and yellow on that card are a delicious colour combination! That cottage is super cute too, and who couldn’t use a gift card to purchase whatever their little heart desires. The hard part will be deciding! Baby cards are the cutest to make. Love these cards and the prizes. OMG! Thank you for sharing. Another day of fun celebration and another day of fabulous sponsors. Happy Birthday SCT!! Congratulations on a fabulous 12 years. Looking forward to many more. Wow! Super cute cards:) Happy Birthday to whole SCT’s team! Sooooo adorable! Love those cards a lot. Great birthday prizes….. Happy Birthday to the best paper craft mag out there! 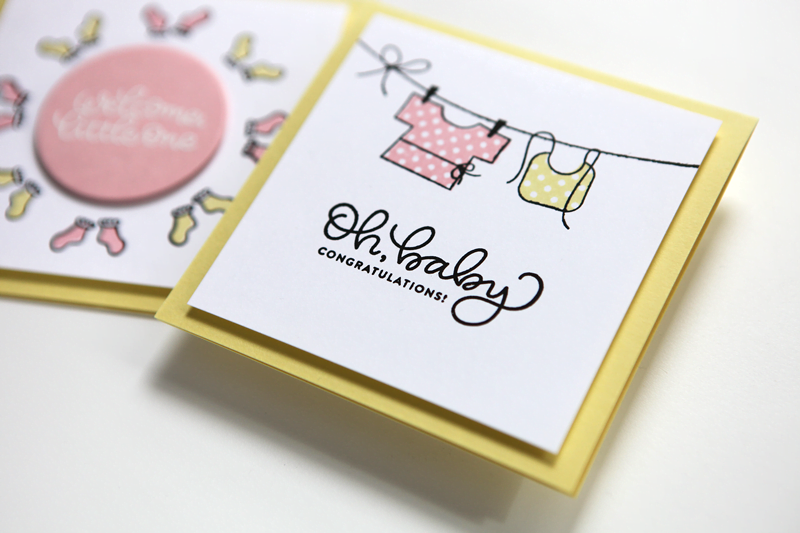 What sweet, cute cards for a baby shower! Love them! Thank you for the chance to win such great prizes! HaPpY BiRtHdAy, S&CT!!! I love Pinkfresh Studio supplies and a gift voucher would be fantastic! As for that house, it is so cute and I could see it used in so many ways. I’m loving your card making journey Cathy and I’m hoping to one day get over my fear of not being good enough at card making and join you and all the other card makers. Love everything Cathy makes – these cards are adorable! Loving the baby cards……making cards is my favorite thing to do! Happy Easter to the gang at SCT! The baby card is adorable!! I’m going to have to buy the Oh Baby stamp set. Just too cute! And another wonderful prize pack. Thanks for another great opportunity SCT! Love that adorable Baby stamp set! Cutest baby cards! simple but adorable. Thanks for the inspiration! Love the baby cards. I have several coworkers expecting this summer. And I love to celebrate babies. Beautiful Baby cards. So sweet. Thanks for the ideas. Thanks so much for letting us celebrate your success along with you! Best wishes in the future! Love the bird house – what a great die! Thank you!! Great Giveaway!!!!! Happy 13th Birthday!!! Correction:Happy 12th Birthday!!!!!! Fingers don’t want to co-operate. Happy Birthday! Cute cards – and the format! Adorable! !1 Love the cards and the house! While I love the baby cards, very adorable, I’m in the stage of life where my friends and I are no longer having babies, and are a bit away from grandchildren. So I’ll happily shop for items at Pink Fresh I can us on other life events. ? I am extremely grateful to SCT for prompting Cathy to start the cardmaking journey. I so enjoy not only her new products but her videos and card creations! such cute cards, I will be checking out the wreath builder too. Such a sweet, sweet card!!! More proof that you can use the Gina K wreath maker for any celebration. Too cute with little socks! Cathy, those cards are ADORABLE!!! Thanks for the inspiration and for the chance to win those amazing prizes from your fabulous sponsors!!! Happy birthday to my favourite magazine! What an awesome prize packag! Thanks so much for the chance to win! Happy Birthday SCT. Love your magazine and cropping events. What an adorable baby card. Love the little socks on it!! Big thank you to today’s sponsors. Love the baby cards! I am due to have a baby anyday and would love to receive any of these! Thanks for the chance to win such awesome prizes. love this color combo but glad I don’t have a need for it. My first grand baby girl is on her way and the baby cards make me melt! A prize that gives choice is always a treat. Thank you!!!!!! What cute cards, I love the soft colors and stamping! Thanks for another great giveaway. My niece just had a baby girl..how cute to be able to send her one of these cards! Happy Birthday, SCT! LOVE BOTH GREAT PROJECTS. Thanks for the chance to win some great prizes. Happy birthday! Thank you again Cathy for this clean and simple card! It has been fun following your card making journey – – ever since your first video. And as for SCT Magazine, love it. And Happy Birthday! The wreath building tool is on my wish list. Such an awesome tool to make so many different projects.Love the cards, so adorable. Great prizes thanks for the chance to win! Those are the sweetest baby cards! That house die set is to die for! Sorry for the pun – but it is super cute! Such a precious layout! I love Pinkfresh Studio and have lots of Spellbinders products. Two favorites! Thank you sponsors! Adorable baby cards by Cathy. Thanks for opportunity to win giveaways from Pinkfresh, Spellbinders. Congratulations SCT on your 12 year celebration. Thanks for the inspiration, baby cards are something I never feel super inspired for. Adorable cards. Love the house. Happy Birthday SCT! So many of my friends are having new babies so these cards are inspiring me. I love that awesome house die too! Love these adorable baby cards! I love the simplicity… Happy birthday SCT. Wishing you continued success! Those cards are adorable! I’m so glad you started making cards! Your LO designs have always been favorites of mine and your cards are no different! Beautiful baby cards. Love Pinkfresh stamps and the Spellbinders cottage look like a fairy village in the making. Cute cards – love the colour combination. Another giveaway from SCT’s very generous sponsors. Awww!! The house is so stinking cute! Happy birthday, SCT! What a great baby set – I adore this !! What simply adorable baby cards!!! ❤️ the colour combinations! Another wonderful giveaway from SCT and your awesome sponsors. Hope you are enjoying this birthday celebration as much as all of us are!!! Happy Birthday and wishing you many more years of success!! Super cute cards! Happy birthday, SCT! Such sweet cards. That stamp set is perfect for baby memories. Beautiful card Cathy Z! Happy b-day SCT!! The house is too cute. Just great. The baby cards are so sweet. Happy Birthday & Happy Easter! Such darling projects!! I absolutely love the sweet stamp set!! Wonderful giveaways & sponsor! awesome prize! thanks for the chance and Happy Birthday SCT! Adorable baby cards and more great prizes! These baby cards are just too cute! Happy birthday! Oh baby cards are my favourite cards. Welcoming people to the world is pretty great. Thanks for the chance to win a fun prize! Happy birthday SCT!! Cathy’s cards are so stinkin cute! And awesome prizes once again. Love love love that little cottage. I took the class at C&C and now have little houses planned for each season! What fun prizes! Happy birthday SCT! From the moment I saw Cathy’s adorable cards, in the perfect colours of ink, on IG I was ‘gah gah’ (pun intended) over them! Amazing prize offerings today both companies I have long wish list with. Thank you for the chacne to win! I love the inspiration I get from all the things I see here! Super cute! Cathy’s style is just amazing and timeless! Happy Birthday! Everything is cute! Happy birthday to SCT Magazine! This card is so cute!!! I love the way that she uses the stamps to make it so adorable! such a classic CZ project…simple, gorgeous color and adorable! LOVE! What darling cards by Cathy! Happy birthday SCT & thank you for the opportunity to win awesome prizes from Pinkfresh Studio & Spellbinders! What a cute and creative baby card…I enjoy seeing the creative pieces so much it is just so inspirational…thank you for all the effort that you gals put into doing this for us! Generous prizes again today, how nice of the sponsors to be so kind! Love,love, love these two sets. I would love to win this. Love the baby cards!! So cute. Love Stamping up products! Great sponsors as always! Paper house like from fairytale! Cathy – I still can’t believe that it’s just been over a year since you began to start creating cards! Your cards are so sweet and perfect. A big thanks to Pinkfresh and Spellbinders for their contribution of prizes today. Happy birthday SCT! Thanks for including us in your celebration! Amazing inspiration on today’s post – sweet cards and lovely gifts! Love that baby card! I have three (including a set of twins!) coming in my extended family this year, so I need to make some soon. Love that adorable cottage! Adorable cards, and a beautiful cottage!! And a shopping spree, too much fun!!! That cottage die! Wowzers! Happy Birthday to you! How sweet are those baby cards!!! Happy 12th Birthday!! That Pink Fresh gift card and the build a house Die would be amazing! I could build a little town, decorating each little house differently. Thank you so much for this wonderful giveaway! What a cute house!! Thanks for the opportunity to win! What sweet baby cards! Fun prizes too. Happy Birthday! HAPPY 12TH! That house is lovely-could see it with some gnomies around it :0 Thanks for the sharing! What a great card, simple but so cute! Baby cards……so cute! I just love that stamp set. I also love Pinkfresh Studio and that house die looks very intriguing. What an adorable set! Just love making baby cards! Pinkfresh Gift Card! Very cool! Happy SCT birthday and love the giveaways!! Love the Gina K set and $50.00 gift card would be awesome too! Always love learning new things and can’t wait for Calgary, Saskatoon crops!! Thank you for a chance a winning all these wonderful prizes! Very super cute! How fun and adorable!! Those cards are adorable. I can’t wait to become a Gramma. One day soon I hope. That little cottage is just the cutest thing! Love that card! So adorable! Baby love! ??? The cottage die cut is so fun! I’m a fan of both Spellbinders and Pink Fresh, so this would be a fabulous prize to win…thanks for the opportunity. Awesome projects. Thank you for the chance to win some great prizes. Thanks for sharing the special product ideas and chance to win during your Birthday Celebration! Perfect for my niece’s baby girl who will be here soon! Happy Birthday SCT! And thanks for a chance to win all these awesome prizes!!! The baby cards are so adorable!! What a cute little cottage or house dies from Spellbinders. Love this and the $50 gift certificate from Pink Fresh is amazing. Love all the ideas and thoughts about this one. Thank you SCT for hosting such a generous birthday party! Love this giveaway! I love Pink Fresh and that darling house die from Spellbinders. Thanks so much for the chance to win! Love, love, love the cute baby cards! Thanks for the inspiration and Happy Birthday! Happy Birthday SCT. I am a newbie to scrapbooking and really love it! Why limit your birthday to just one day! This is so much fun! Those are adorable baby cards! How adorable are those cards! Such sweet cards and lots of inspiration! Happy birthday, SCT! Baby cards are so cute, almost as cute as the babies themselves. That would be so great to win a gift card to get some supplies to add to my stash, that I didn’t have to tell my husband I spent money on. Yay!! Cathy, love your sweet, sweet baby card!! Happy Birthday and wishing you many many more!!! What adorable little cards! Great prizes too, wow! Some great products to scrap my new grandbabies. Thanks! Awww, those baby cards are just adorable and I love the variety of sweet little designs! 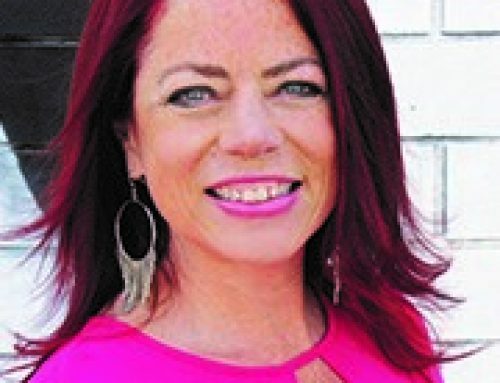 Love Cathy Zielske and now a card maker – even she surprised herself! Love her style. Thanks for the chance to win yet another great prize! Thank you Spellbinders & Pinkfresh for the treats on SCT’s b’day. So sweet. A perfect way to welcome a new arrival. Oh my goodness…the cottage is adorable! What a great prize pack. Thx SCT! Happy birthday SCT! I would love to win the prizes from your fabulous sponsors! Such wonderful cards. So simple, elegant and amazing. Happy Birthday! Cuteness! Thanks for the tip and link about the envelope! Happy Birthday SCT! Thanks to Cathy for sharing her cards – love the colour combinations and the elegance of them. Cutest baby cards ever!! Love the house dies! Great prizes!! those baby cards are adorable!! what a cute stamp set!!! What a great time I’m having here SCT at your 12th birthday party!! Is there such a thing as Too Much Fun???? Of course NOT!! ? Cathy: Nice take on birth-day! Also most inspirational – I have 2 niece’s expecting soon & now I’ll be ready!!! Super cute card, Cathy really rocks the card making! Sweet baby cards! Another fantastic giveaway! That baby card that Cathy created makes me so excited because I’m going to be a grandma in July. LOVE the charming house. Something that the grandchildren would have a great time decorating. The pitter patter of little feet bring joy to everyone… Cute designs. Cathy…the card is sooo cute. And, the house is adorable as well. Happy Birthday SCT!! !Am really liking all the designs and gifts. These talented ladies have outdone themselves. And this just inspires us to do more crafting!!!! Such cute clean baby cards! Happy birthday…thise baby cards are Adorable! Happy Birthday! I would love to win this prize. Oh those cards are so cute! Happy Birthday! Fabulous birthday eye candy! Keep up the good work! Love the amazing prizes that are being offered! Would love winning any of them. Really appreciate your fantastic inspirational ideas and looking forward to SCT providing them for many more years! Cute baby cards – clean and simple. Happy Birthday SCT! Love the baby theme. Could really use these ideas, etc. I’m just so in love with those baby cards! Too cute! How cute are those baby cards?? And the house! Adorable baby cards and great giveaways – all is right in the world! Cute cards. Love the colors. Happy 12th Birthday!! Thanks for the chance to win! Sweet baby card Cathy! Thanks to all the sponsors! baby cards are one of my favorite things to make. congrats on celebrating 12yrs . Those baby cards are adorable. I love the house die in the giveaway. So much you could do with it! 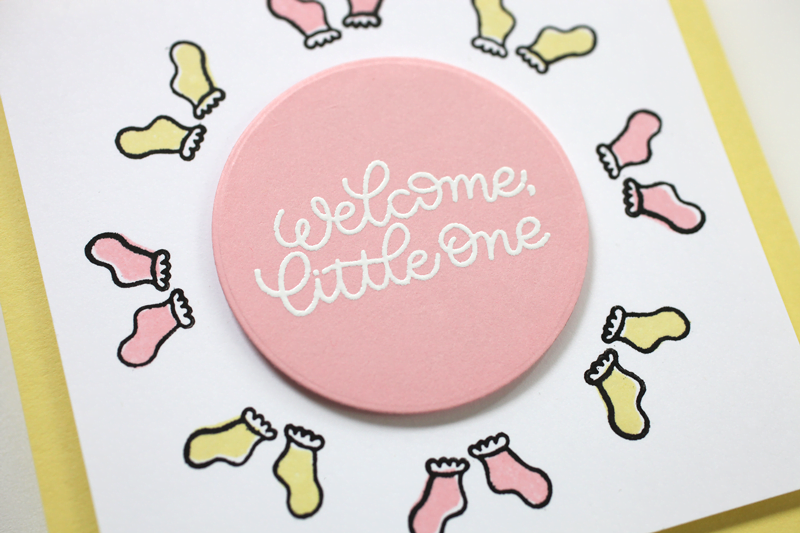 Pink and yellow are perfect for these darling cards! Love today’s sponsors!! Congrats again on your 12th anniversary! Here’s to 12 more fun filled years! Congrats on another year older! Love the wonderful inspiration and all these great prizes. So grateful for all that you do! Happy 12th Birthday! What a wonderful collection of prizes. So fun for so many projects! Thank you for the opportunity!